Traditions Cabinetry serves Largo, Seminole, Pinellas Park, St. Pete, Clearwater, Safety Harbor, Palm Harbor and the entire Tampa Bay. We have been open in Largo since 1997. We have a showroom with cabinet displays and samples from many manufacturers. Some of our partners of custom, semi – custom and stock cabinetry are Bridgewood, Advantage, Bertch, Harlan, Levant, Integrity, Showplace, Urban Effects, Wellborn, and Forevermark. Our experienced, expert Kitchen Designers work with you side – by – side as your partner in the design process. Traditions’ designers strive to give you with the best value in cabinetry for every room of your home or office. We have kitchen cabinetry and bath vanities to meet any budget. 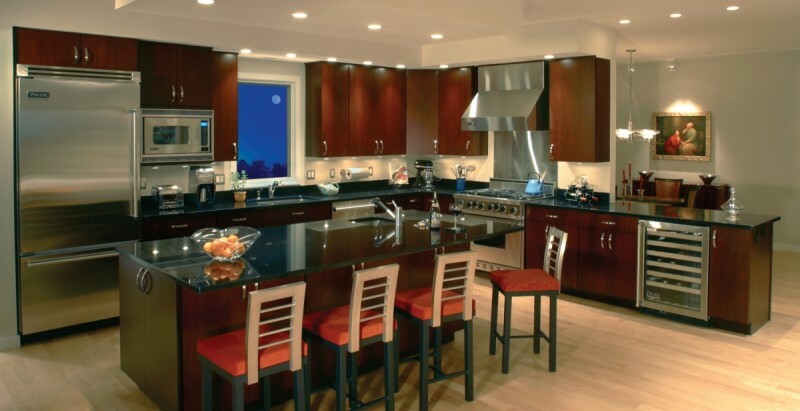 With our wide range of choices, we can give you the best value in cabinets for your budget. Traditions’ goal is to provide our clients with the best in quality and service. Our designers give you individual service from the beginning to the end of your projects, working with you to emphasize space, form and function. Whether you are building or remodeling strive to give you the most functionality and value for your budget. We also have cabinets for commercial properties. We have completed interior build-outs on Condo projects, Office buildings, Churches, Courthouses, convenience stores, hotels, a new concept store for a national restaurant chain, as well as new and remodeled kitchens and baths. Send us your project drawings and specs, or stop by our Largo Showroom to talk with us in person. Traditions also offers cabinets for contractors, investors, and flippers. We have wholesale pricing for the pros that can give us a cabinet list for pick up. Email or fax in your cabinet list, or stop by our Largo Showroom where we have samples and cabinets on display for you to see.